Are you considering making a move to North Augusta, SC? Have you ever wondered what it is like to live there? We can help to answer some of those questions for you today. The first thing to know is that this is a town of just over twenty-thousand residents. It is just across the line into South Carolina from Georgia. It has the Savannah River running through it and carries a lot of Georgia-South Carolina culture within it. There are things that you can find to do in North Augusta, SC that are of interest to a lot of people. For example, many people enjoy history and like to check out the museums that are in the area. After all, there is a lot of history in this area do to so much of the early founding of the country as a whole being in this area. You can read about the Civil War or you can go and check out the artifacts and pieces of history for yourself. 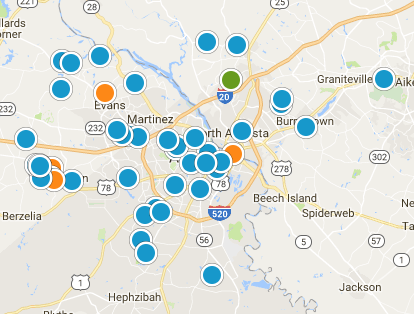 Living in North Augusta means that you are open to excellent cost of living and amenities. Being that this is a Southern city of just average size, North Augusta boasts some of the more affordable living in the country. Despite the lower price tags, you are not really giving up much by going to live here. You can still take advantage of so many of the nice things that North Augusta has to offer whenever you feel like it. Most people who live in North Augusta do travel to other nearby areas for work. That is part of the nature of the beast as it were. They just don't have as many jobs right in the heart of the city as you might find elsewhere. That being said, close outlets to other parts of South Carolina as well as the entire state of Georgia make it reasonable for people who live in North Augusta, SC to work in either state. If you crave warm weather and great amenities at affordable prices, then there is really no better place for you to go.